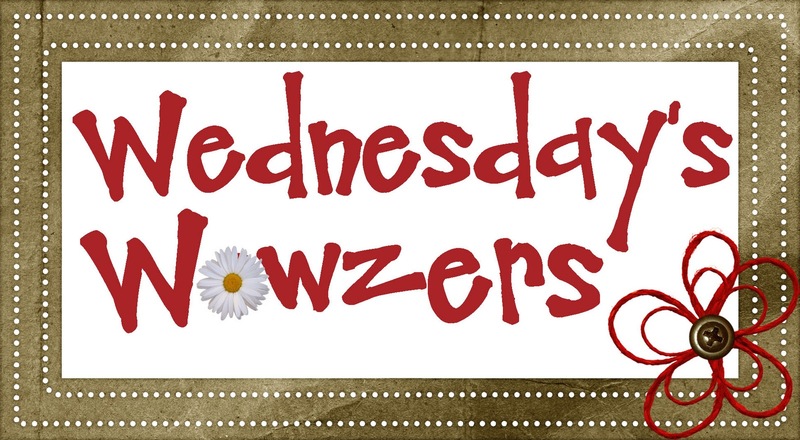 Wednesday’s Wowzers: Hungry For Fall! 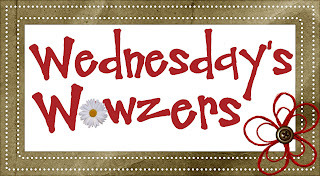 You are here: Home / wowzers / Wednesday’s Wowzers: Hungry For Fall! These Rit dye Halloween tags are simply too cute! There are several different styles, but I am loving this lil' spider! You can find out how to make your own at the fabulous Yesterday on Tuesday. 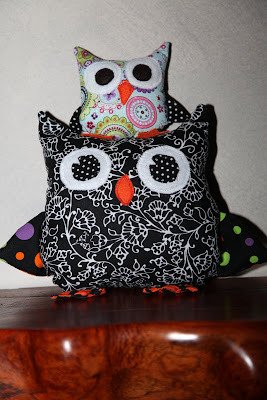 I can't believe I didn't make one of these adorable little owls during our Owl week! PonyTails and FishScales even made a little owl tooth pillow to carry the tooth/money exchange for the Tooth Fairy. Super cute! Surely you have seen this adorable Halloween sign at Poppies at Play. All of those fonts and festive words just make me happy! I am already dreaming up my own Thanksgiving or Christmas version. 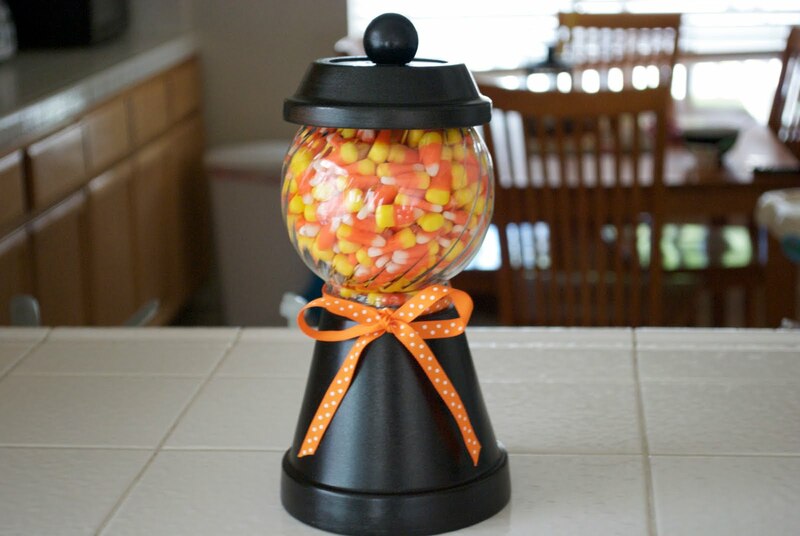 Can you believe that A Pumpkin and a Princess made this adorable candy jar?! You have to go see for yourself. So creative! I am loving all of the cute accordion-type banners and flowers lately! This spooky banner at Crafting Chicks is fabulous! "Spooky" is my kind of banner. In the next few days, I actually will be sharing my own spooky banner that I made last year! You have to go check out the close-up of the banner and check out the glitter letters! How cute are these 2x4 mummies from Lyndsey's Craft Spot?! I am a huge fan! These would look so adorable on your front porch! Very cute. I'm loving all of the Halloween craftiness! Those are all fantastic! I love seeing all the Halloween ideas! I love your blog and I've give you an award! Head over to my blog and pick it up! Such cute ideas. 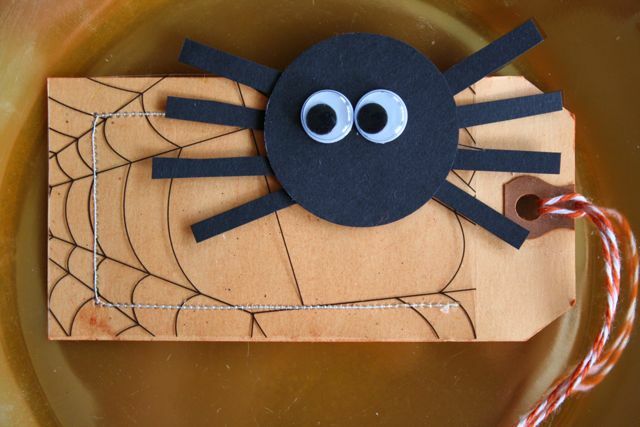 I love Halloween crafts. 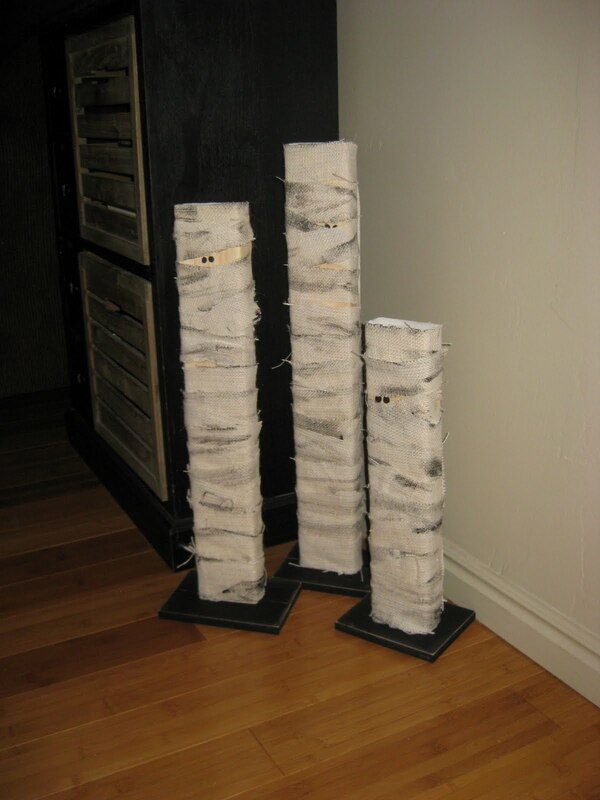 Thanks for featuring my mummies… they were so easy!! I hope more people make them 🙂 You are awesome!! Ahhh, you're a doll! Thanks for the feature!! Love all the fabulous project ideas!! Halloween in such a fun holiday to decorate for. 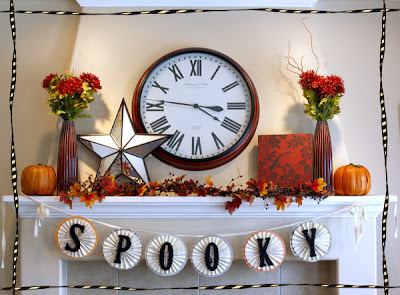 Thanks Doll…for posting my "Spooky" Banner, you are so sweet. I love your blog, what fun ideas!!! Thank you for featuring my candy jar! Have a great weekend!